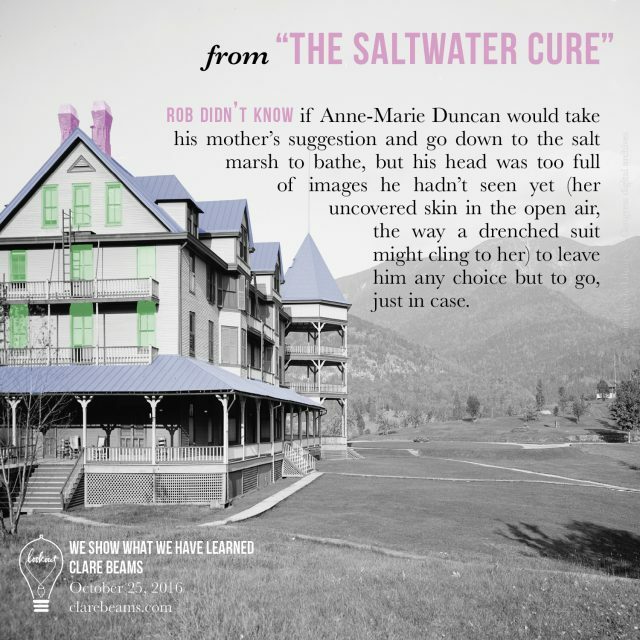 This installment of On Location comes from Ecotone contributor and Lookout author Clare Beams, whose collection We Show What We Have Learned was a recently named a finalist for the PEN/Robert W. Bingham Award and the Young Lions Fiction Award from the New York Public Library. All piled in our dungeon-y, stone-walled basement, next to the Pittsburgh Potty—a toilet in the basement, common in houses built before 1950 or so, once used by the household help; ours doesn’t even have a curtain. All a little clammy to the touch. From the start, we felt wrong about having these things. Whoever this woman was, wherever she was, she probably needed them. And we didn’t want them; knowing they were down there, under our feet all the time, made us feel like we were living with a ghost. We’d had contact with the house’s previous inhabitant only through his real estate agent, whom we called repeatedly to explain the situation and ask what we should do. What we heard was that the owner was gone, the real estate agent had no idea who this woman was, and everything that was left was ours to do with what we wanted. We didn’t want to do anything with it, was the trouble. The idea of cooking out of this woman’s pots, using her lamps to light up our rooms—it felt grubby, and disrespectful toward whatever misery had made her leave all of it behind. After a while, we stopped asking. She would get in touch, we reasoned, if she wanted to. And a while after that, two years after we’d moved in, we donated everything to a charity that was willing to come and pick it all up off our front porch. Basements fascinate and unnerve me—these spaces where we store the things we don’t want to look at. The basements in the houses I’ve lived in tend to show their age. The house we rented in Massachusetts, built in the forties, had one that at first seemed promising, like a room we could maybe use—except somehow squirrels kept getting into its ceiling, so that hollow caps of acorns would sometimes pile up ominously in the corners, like the hats of sad, absent elves. The house where I grew up in Connecticut, built in the 1730s, had a dirt-floored basement, smelled like earth, and was lined with shelves on which some enterprising person a half-century before had stored her preserves. Empty Ball jars stood there in my time, their lids reproachfully rusting. The basement of our current house, built in 1894, has raw-stone walls, and tiny insecure-looking windows, and much damp. 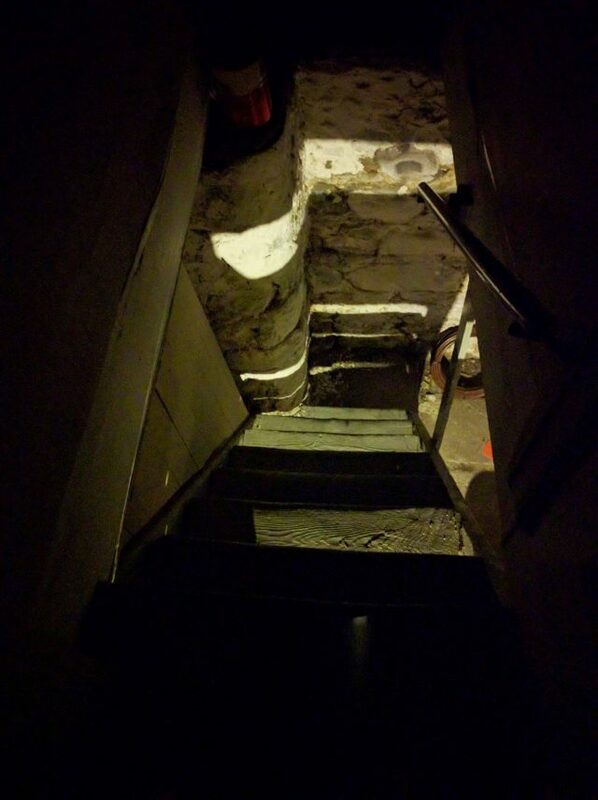 Walking down into the basement of an old house is like walking back in—or down into—time. Upper floors get new coats of paint, new bathrooms, kitchens with running water and refrigerators. But when you stand at the house’s lowest point, the point where only mistakes and leftovers and seasonal decorations are stashed, you could be standing in 1960 or 1899 or 2017. The upper floors of the houses I’ve lived in feel like they belong to me. But their basements—when I go down there to put the broken stuff I mean to fix, the things my kids have outgrown—feel, to me, like I’m sharing them. The space, and its secrets, too, because where else do we put them but underground? And then, like seeds, sometimes they grow. The questions this woman left in our basement weren’t as easy to cart up into the light as her belongings were. I think about her often, for a woman I’ve never met. What kind of life she might be living now, having left all of those things behind. I can’t quite stop wondering how so much of her ended up down there, in the dark, in the first place. We’re heading to AWP! If you’re also going to DC this week, you’re probably doing what we’re doing: scurrying around packing and scouring the schedule for your favorite authors. 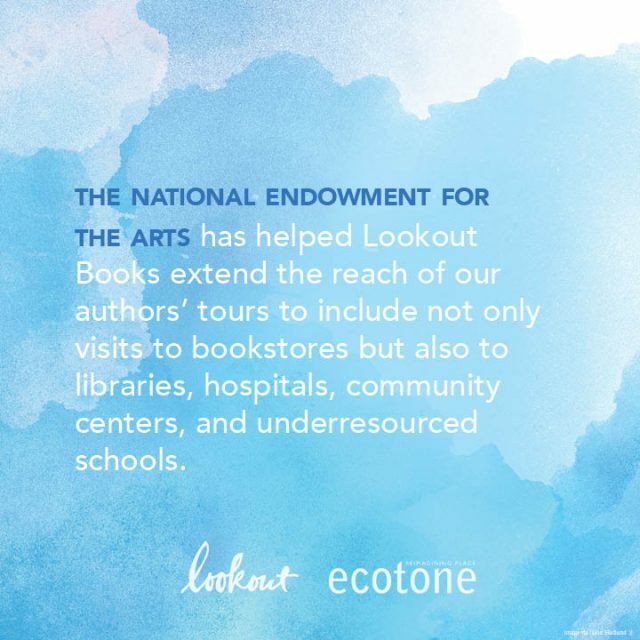 We dove in to see when and where some of our recent Lookout/Ecotone contributors will be sharing their insights. 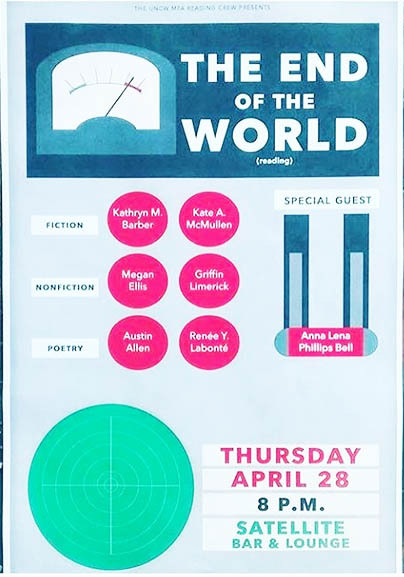 The three women at our helm, Emily Louise Smith, Beth Staples, and Anna Lena Phillips Bell, will also be presenting, as will our most recent Lookout author Clare Beams. 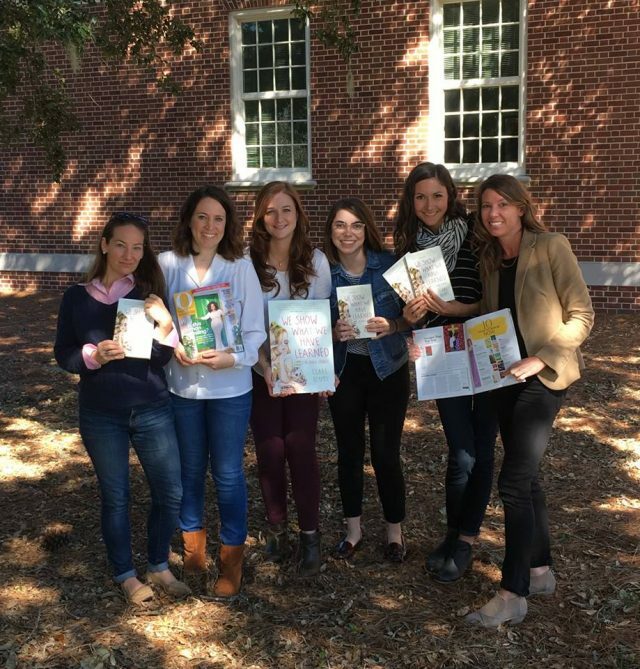 Come say hello and pick up our newest publications at tables 400-401, which we share with sister UNCW publication Chautauqua at the Bookfair. Don’t forget to pack light, and leave room to bring home books! The Ecotone/Lookout team is thrilled that so many of our contributors have been recognized by the 2017 PEN Literary Awards. Each year PEN uses its Literary Awards program to honor the best and brightest in fiction, science writing, essays, sports writing, biography, children’s literature, translation, drama, and poetry, and we’ve got our fingers crossed for these writers as the award announcements approach! 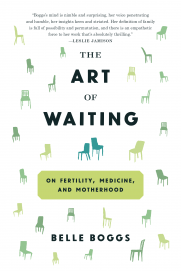 From the publisher: In this posthumous collection of essays, Eva Saulitis meditates on martality, the art of living fully, and her advancing illness and nearing death, confronting the waiting question without fear or sentimentality: how are you going to live when you know you are going to die? 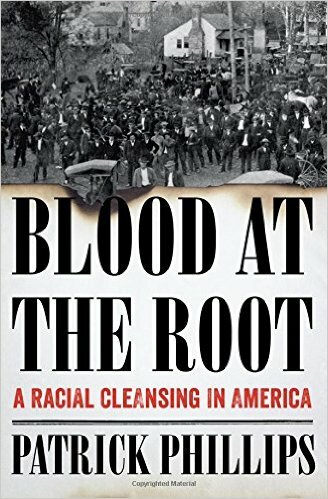 From the publisher: A gripping tale of racial cleansing in Forsyth County, Georgia, and a harrowing testament to the deep roots of racial violence in America. 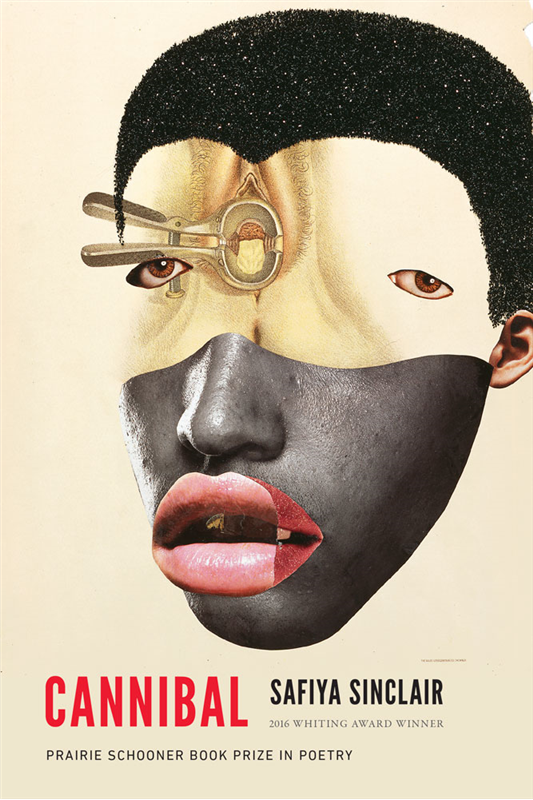 From the publisher: Colliding with and confronting The Tempest and postcolonial identity, the poems in Safiya Sinclair’s Cannibal explore Jamaican childhood and history, race relations in America, womanhood, otherness, and exile. Award finalists will be announced by PEN on Jan. 18, 2017, and winners will be announced Feb. 22. (With the exception of the awards conferred for debut fiction and essay, the PEN/Jean Stein Book Award and the PEN/Nabokov Award, which will be announced live at PEN’s award ceremony). And finally, the winners will be celebrated on March 27 at the PEN America Literary Award ceremony hosted at the New School in New York City. It was an especially exciting week at Lookout HQ with the launch of Clare Beams’s story collection, We Show What We Have Learned, on Tuesday. The Lookout team has been hard at work on this amazing book for quite some time, and it’s been fun to see it getting the attention it so deserves. Here are a few of the special places you can read more about it. Clare got a bunch of love in Pittsburgh, the town she calls home, including this interview in the Pittsburgh City Paper, this review in the Pittsburgh Tribune, and a packed release party at the White Whale Bookstore. This coming week, Wilmington will host its own special launch party for Clare as part of Writers’ Week on Monday night. To read more about it–and the other fabulous writers coming to Wilmington including Mei Fong, Maurice Manning, and Chinelo Okparanta–check out this article from Encore. There’s good news for other Lookout authors, too! 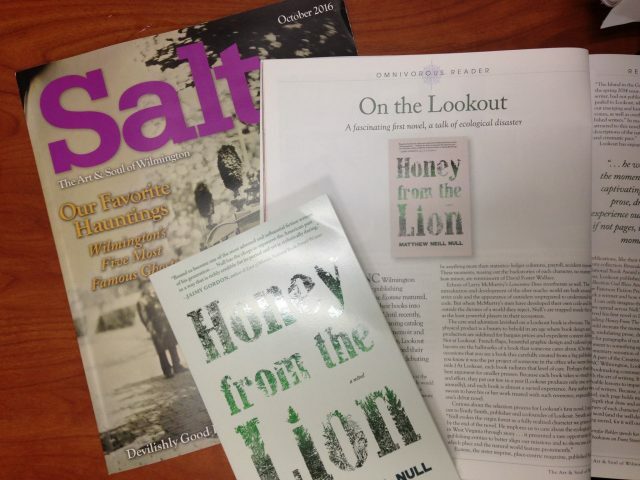 Matthew Neill Null’s novel, Honey from the Lion, has been named a fiction finalist in the 2016 Massachusetts Book Awards from the Massachusetts Center for the Book, and has sold to Albin Michel for publication in France in 2018. Oui oui! And Ben Miller, author of the memoir River Bend Chronicle, accepted the Cornell College Leadership & Service Award for “contributions to American literature.” Ben’s acceptance speech is funny and inspiring, and we’re so happy for him. 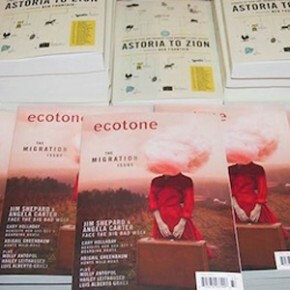 And there are book launches in the world of Ecotone contributors to boot! Melissa Range’s new poetry collection, Scriptorium, hit the shelves this month. 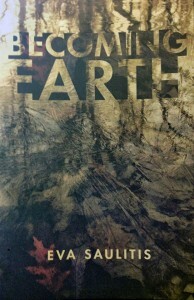 Chosen by Tracy K. Smith for the 2015 National Poetry Series, it’s now available from Beacon Press. This is the post that nearly launched a thousand books. We hope your reading all the great new literature you can handle–thanks for checking out ours! One Week Left Until the Release of We Show What We Have Learned! 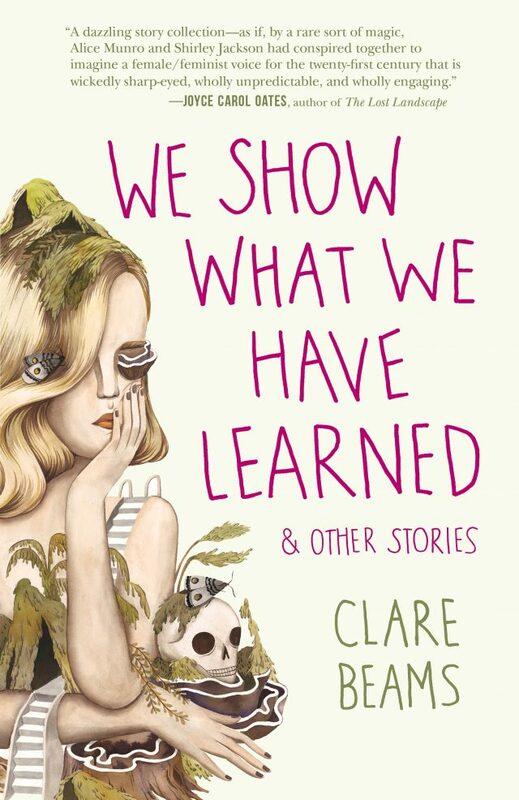 We’re only one week away from the launch of Clare Beams’s We Show What We Have Learned! And you still have twelve hours, until the end of today, October 18, to enter the Goodreads giveaway for a free copy–head on over! 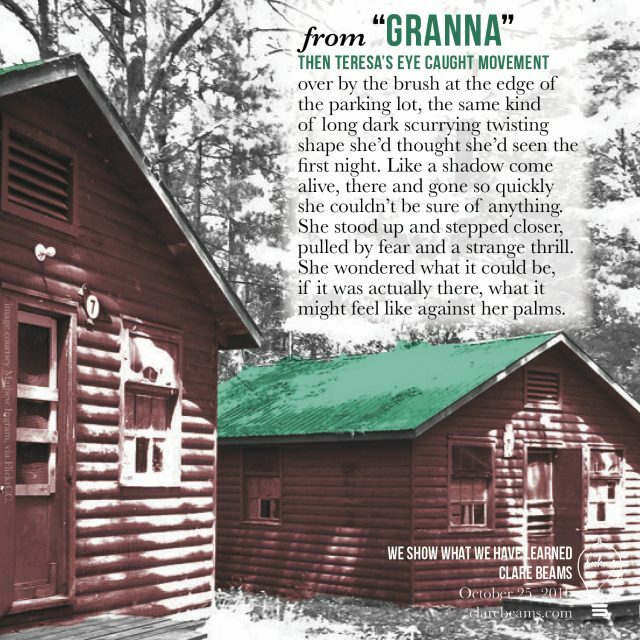 Ecotone + Lookout Deal, Plus Clare Beams in O, the Oprah Magazine! 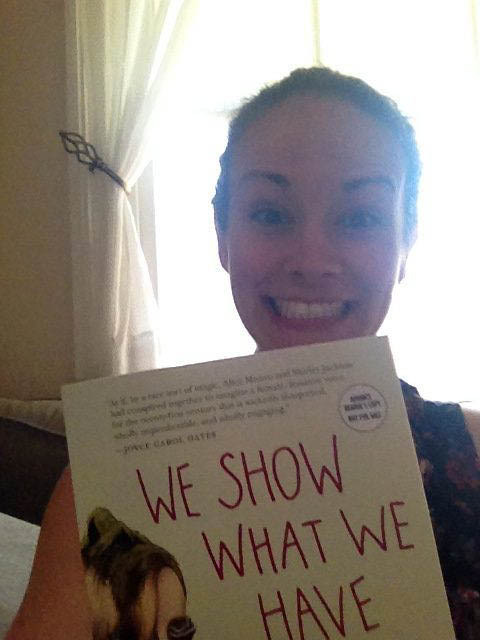 We’re getting closer and closer to publication day for We Show What We Have Learned by Clare Beams! If you’re a fan of Lookout and (and we hope you are), we’ve got a great special going on. 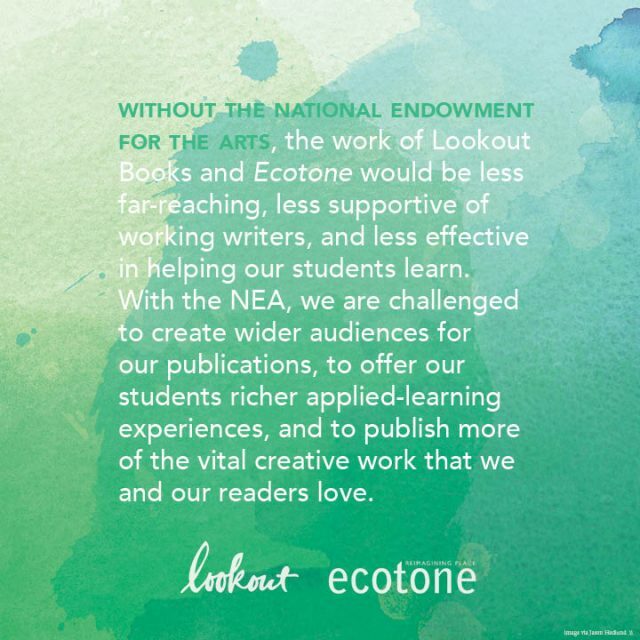 Receive a one-year subscription to Ecotone and a copy of We Show What We Have Learned for over 25 percent off the cover price. For just $25, you’ll receive two issues of Ecotone as well as Beams’s collection, due out in October 2016. 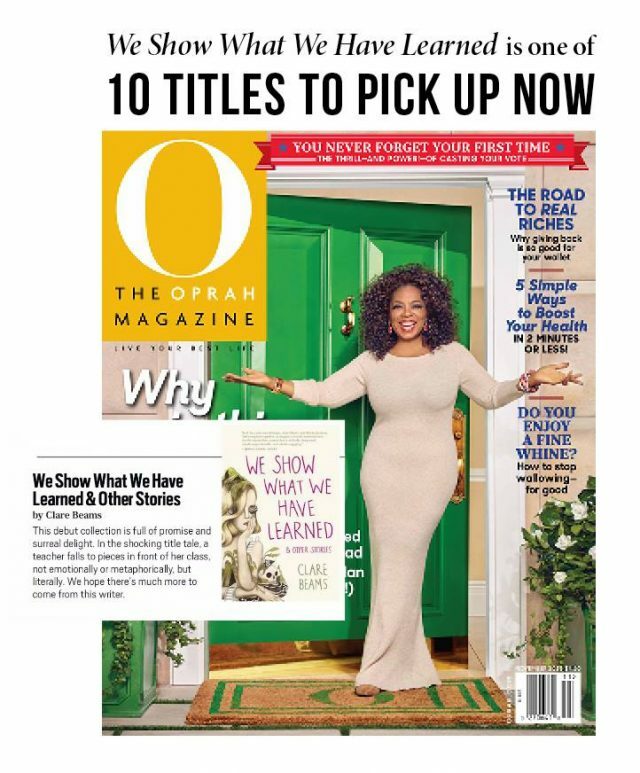 In other exciting news, O, the Oprah Magazine, has named We Show What We Have Learned one of “10 Titles to Pick Up Now.” In their micro-review, the magazine’s editors write, “This debut collection is full of promise and surreal delight. In the shocking title tale, a teacher falls to pieces in front of her class, not emotionally or metaphorically, but literally. We hope there’s much more to come from this writer.” Subscribe to the November iPad edition to read the first ten pages of the collection, or check out the full list of books in this month’s print issue. You may have heard the news by now, but we wanted to do an official announcement here on the blog: we’re thrilled to broadcast the details about Lookout’s next book, the debut story collection, We Show What We Have Learned, by Clare Beams. The stories blend the fantastic, the historic, and the literary, and capture the true strangeness of being human. From bewildering assemblies in school auditoriums to the murky waters of a Depression-era health resort, Beams’s landscapes are tinged with otherworldliness, and her characters’ desires stretch the limits of reality. Clare’s editor here at Lookout, Beth Staples, published the title story from the collection years ago during her time at Hayden’s Ferry Review, and was even more excited to work with Clare on a newer story for Ecotone, called “Granna.” The success of that relationship, and the Ecotone/Lookout team’s enthusiasm for Clare’s work, led to the acquisition of this fabulous collection. And now, after many months of editing, publicizing, designing, and planning, we’re all so excited for October 25, when the book will make its way to readers. We’re not the only ones excited. In a starred review Kirkus calls the collection, “A richly imagined and impeccably crafted debut.” Publishers Weekly adds, “Beams is an expert at providing odd and surprising details that make her stories come alive, and the result is a powerful collection about what we need from others and, in turn, what we can offer others of ourselves.” And Amanda Nelson of Book Riot says, “These stories are angry and odd, and I loved them.” Head to Clare’s website to read all the love, including quotes from Joyce Carol Oates, Chang-Rae Lee, Megan Mayhew Bergman, Mary Laura Philpott of Parnassus Books, and Rachel Richardson of Hub City Writers Project. We’ll be giving all of the details about Clare’s tour and reading schedule shortly, but you can have a look at what’s planned so far here. We’re also so excited that Clare will be here in Wilmington as part of UNCW’s Writers’ Week. And you don’t have to wait until October 25 to find your copy–you can preorder the collection now. We hope it will delight, challenge, and surprise you in all the best ways. Like the whole rest of the world, we were saddened by the death of Prince this week. Ecotone Sound contributor shirlette ammons wrote this tribute for a Triangle-based Indy publication. This week saw the first annual Edith Pearlman Creative Writing Award given at Brookline High School. Congrats to Alma Bitran! And to Edith Pearlman, whose work continues to inspire and change us. Ecotone contributor Melissa Pritchard was awarded the 2016 Marguerite and Lamar Smith Fellowship for Writers at the Carson McCullers Center for Writers and Musicians in Columbus, Georgia. She’ll be living in Carson McCuller’s childhood home for three months this fall. Ecotone Sustenance issue contributor Toni Tipton-Marton won a James Beard Award this week for her book The Jemima Code (which was excerpted in our issue). Guernica did a nice interview with Ecotone issue 19 contributor Paul Lisicky, largely about The Narrow Door (we excerpted that too). Clare Beams, author of Lookout’s forthcoming book We Show What We Have Learned, has a great Ploughshares blog about the difference between flashy short stories and longer ones that go for the “slow reveal.” Also, here’s a photo of Clare holding a galley of her book. So much greatness in one photo! Speaking of Ploughshares, this blog post by Ecotone issue 13 contributor Emilia Phillips about lyric essays, and how she turned to them after she had cancer removed from her face, is so very moving. Ecotone contributors Christopher Cokinos and Eric MaGrane will be doing a reading and discussion about the Sonoran Desert tonight at Tucson’s Antigone Books. Orion is finishing up its national poetry month feature, curated by Ecotone contributor Aimee Nezhukumatathil–photographs of poetry books in the wild. Here’s Anna Lena’s (Ecotone‘s edtitor). Ecotone contributor Shawn Vestal has a novel coming out called Daredevils. Check out this excerpt from LitHub. I’ll leave you with this final lyric to ponder: “It’s the end of the world as we know it (It’s time I had some time alone).” Join me back here next week when we’ll start a new world all over with the best news of the week.